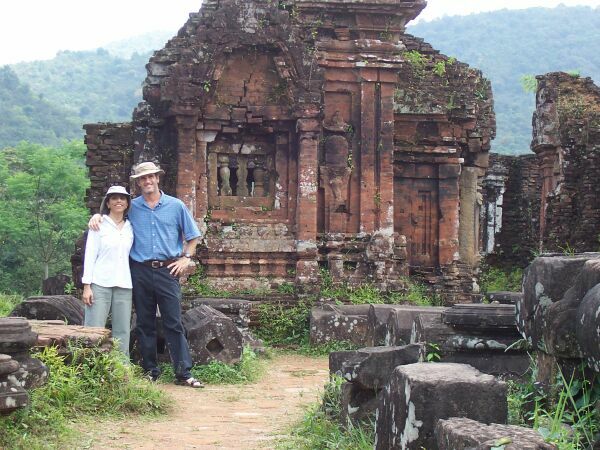 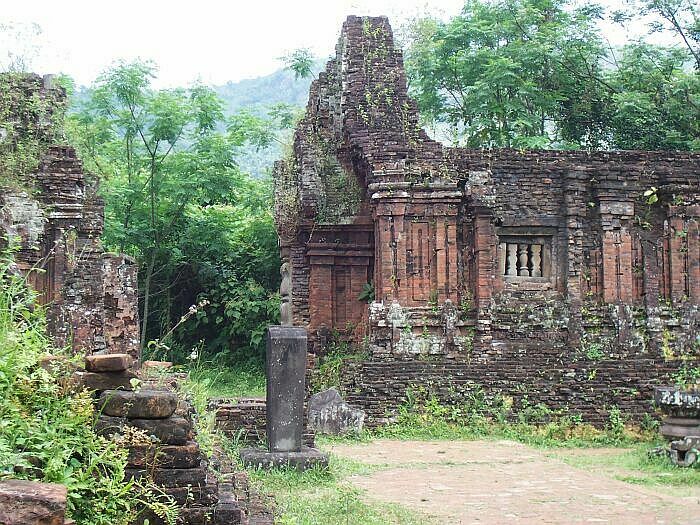 While staying in Hoi An we visited the nearby ruins at My Son. 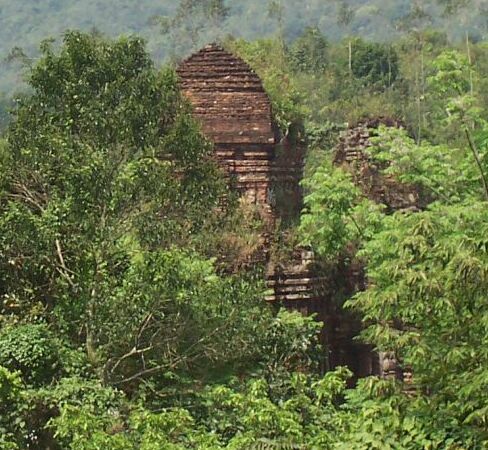 These are the ruins of the ancient Kingdom of Champa, built here beginning in the 4th century and inhabited by the Chams until the 13th century. 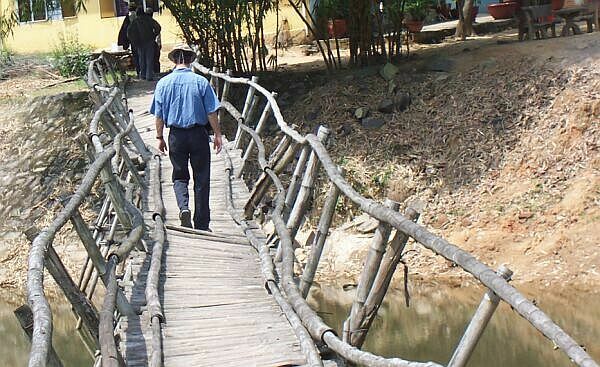 We took a bus as far as this little river, then walked the rest of the way into the site. 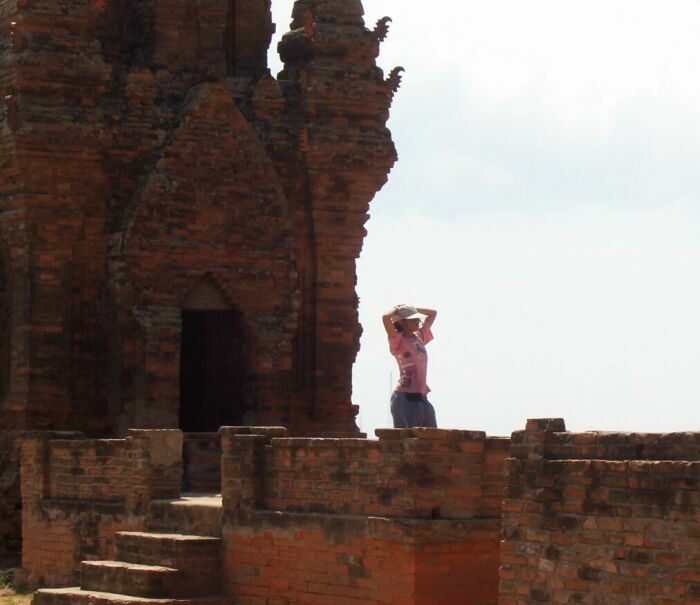 We were awed by what these people had done, and how long it had lasted. 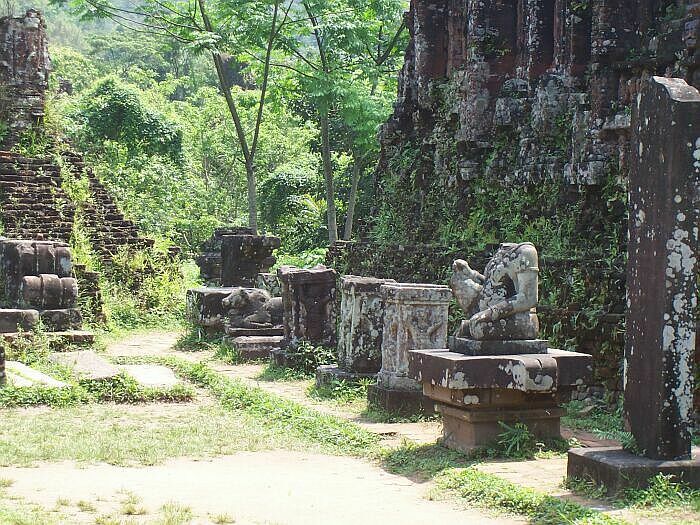 This area suffered major damage during the American war, but still, some bits of it remained.. 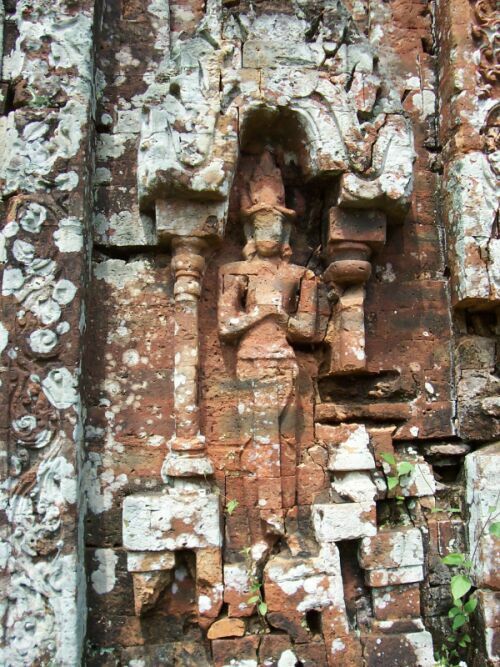 The Chams traded with India and Java and were influenced by Indian art and religion. 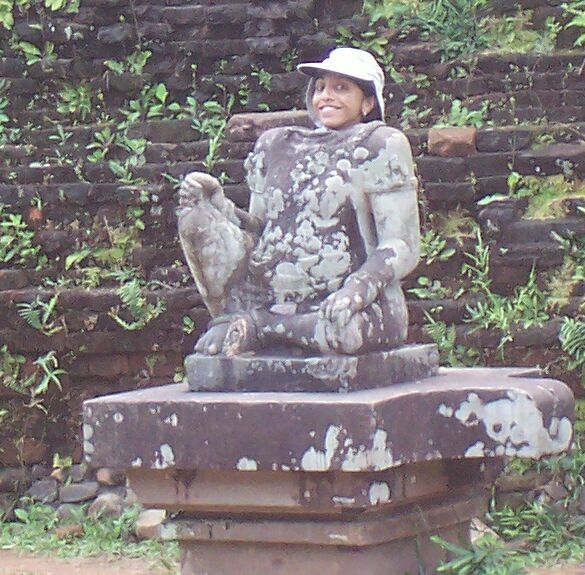 Nadia may have been influenced by Charlie Chaplin, but probably not Woody Allen, who said, "I think being funny is not anyone's first choice." 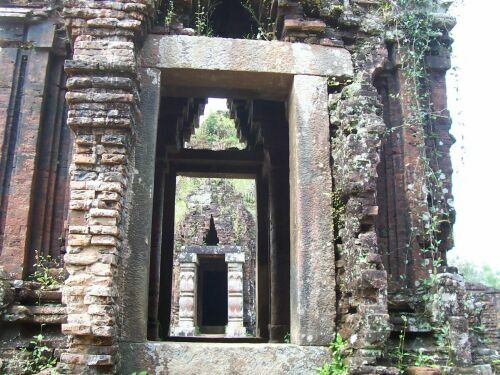 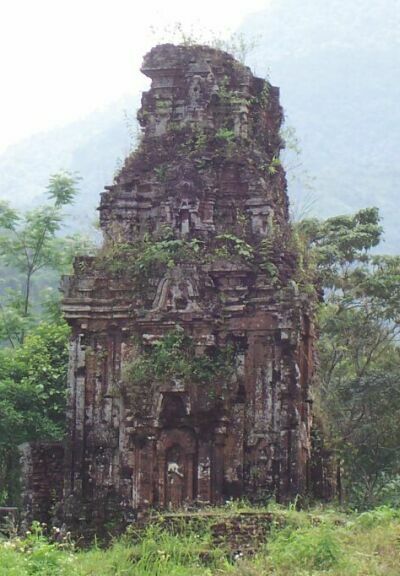 The Cham left evidence of their time here not only in My Son but across a wide area of central Vietnam. 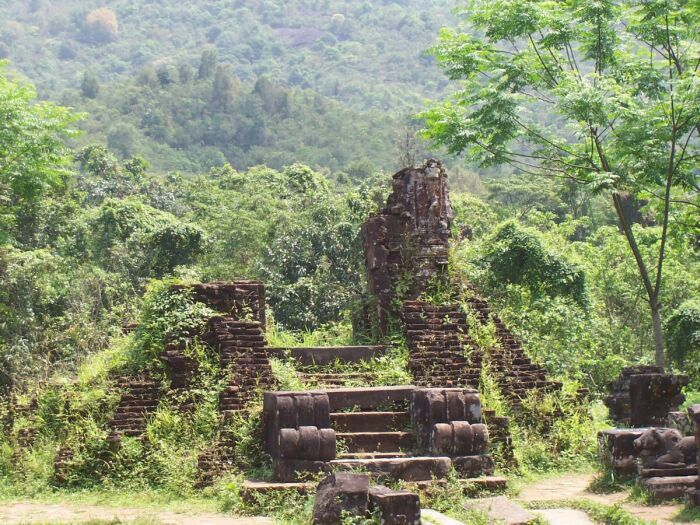 We stopped to see these ruins on the road from Nha Trang to Dalat, hundreds of miles from Hoi An.